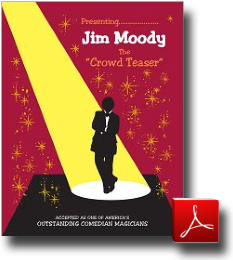 Brochure | Jim Moody ~ The "Crowd Teaser" Catch Him…..If You Can! Jim Moody ~ The "Crowd Teaser" Catch Him…..If You Can! for more information about The Crowd Teaser!